West Dunbartonshire’s MP has hit out at the Tories and Labour at Westminster, urging both Theresa May and Jeremy Corbyn to change tack ahead of cross-party talks over Brexit. 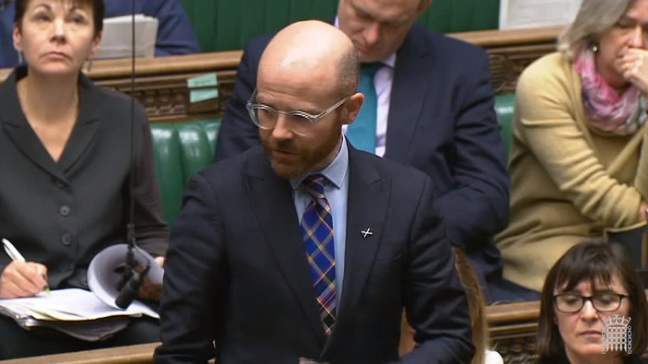 Local MP Martin Docherty-Hughes, who voted against the Prime Minister in a vote of no confidence, said that his constituents in West Dunbartonshire are being failed by a UK government in ‘crisis and disarray’. The Tory UK government narrowly survived Thursday’s vote of no confidence which was held after the PM’s Brexit deal suffered a historic defeat in the House of Commons. The SNP has stepped up calls for Article 50 to be extended, urging the Labour party to back the campaign for a ‘People’s Vote’ in an effort to break the deadlock over Brexit. MPs are expected to vote again on the UK government’s Brexit plans later this month on 29th January. “The Prime Minister may have scraped through the vote of no confidence, but this is clearly a UK government in crisis and disarray. “A failing PM being propped up by the DUP – a Westminster government in office but not in power. The people of Scotland and West Dunbartonshire deserve so much better than this. “Despite the Brexit deal being rejected overwhelmingly, parliamentary deadlock seems certain to continue unless there’s a profound change in thinking from the Tories and the British Labour party. “The SNP is committed to working constructively to resolve this mess; however, ruling out a No Deal, extending Article 50 and holding a second referendum must be on the table.